2018 will mark the 40th anniversary of the band’s humble beginnings in Birmingham, UK. When I stop and think about that, I’m convinced of two things: 1. There’s obviously been a miscount. 2. Time really does fly. There is a group out there that is working to collect data from fans-at-large in order to put together some suggestions that the band may or may not consider if they should decide to put together a tour or collectors editions from their catalog, etc. I think it’s great to try to gather some sort of collective voice from the fans—after all, it is something Amanda and I have been doing for the better part of nearly seven years now. When we first began the blog, I really don’t know that we gave thought or credence to the idea that the band would actually HEAR us. We just knew that there was a lack of a central…place…for lack of better words, for fans to gather and really talk about Duran Duran fandom. Message boards were pretty scattered, fanzines didn’t really allow for discussion. Facebook was Facebook, and even that has changed quite a bit over the period of time the blog has been around, and rest assured it has evolved, too. Over the past four years or so (give or take), Amanda has asked daily questions and polls. While she’s tried to do a variety of topics, a lot of them have had to do with songs, set lists, etc. What is your favorite album? What song do you wish they’d play live, and so on. She’s great at being able to take that information and see trends, and I love the way she breaks it down in her wrap-up blogs on the weekends. So, when I stumbled upon word that a group that is working to compile similar information for the possibility of shows and other special releases in 2018, I was curious. Amanda has done survey after survey in seven years, and while we could always use more participation – we have a reasonably sized sampling of those who are active on social media, and I remember how clear some of the winning songs have been over the years. I wondered if they would get different answers than we might have gotten over the years for similar questions. Would their sampling be all that much different? How would that change the results? I was looking forward to reading more about it all. Amanda and I never did our daily questions with the intention that the information found would make its way back to the band. Unless management reads the blog, it isn’t like we’re sending a dossier to the band each year. Yeah, we joke a lot, much of it being tongue-in-cheek, but we don’t expect much. For a time we were overly hopeful with grandiose dreams of meeting the band and somehow getting dream careers out of this – but believe me when I say that our feet are firmly planted back on the ground. (I almost said Planet Earth….) The blog is our hobby and about the only thing we take seriously about it is our dedication to writing it each day. Yesterday I stumbled across what is apparently the top 10 list from the survey that @DD40_2018 compiled from the request survey they devised. I was surprised that such a relatively new song like The Man Who Stole a Leopard would take away the entire survey, being the number one most requested song. When I looked back at some of the surveys we’d done in the past – specifically those that discussed set lists, The Man Who Stole a Leopard was always requested, but in the overall scheme of things, the song didn’t even make the cutoff for the 17-song setlist that Amanda compiled based on our survey results in October of 2016. (I’ve copied and pasted that list below). Some of the rest of their top 10 list are the usual suspects, including Secret Oktober, Friends of Mine, Hold Back the Rain… and only one of those is included on the fan-requested set list we compiled. I see that What Are the Chances and Paper Gods are both included in our results and I have to wonder if those results would come out the same way if asked again tomorrow. I would bet not. Even so, the lists are very different. Why is that? Well, to begin with it could be the survey itself. As I recall, we had participants create their own set list back in October. 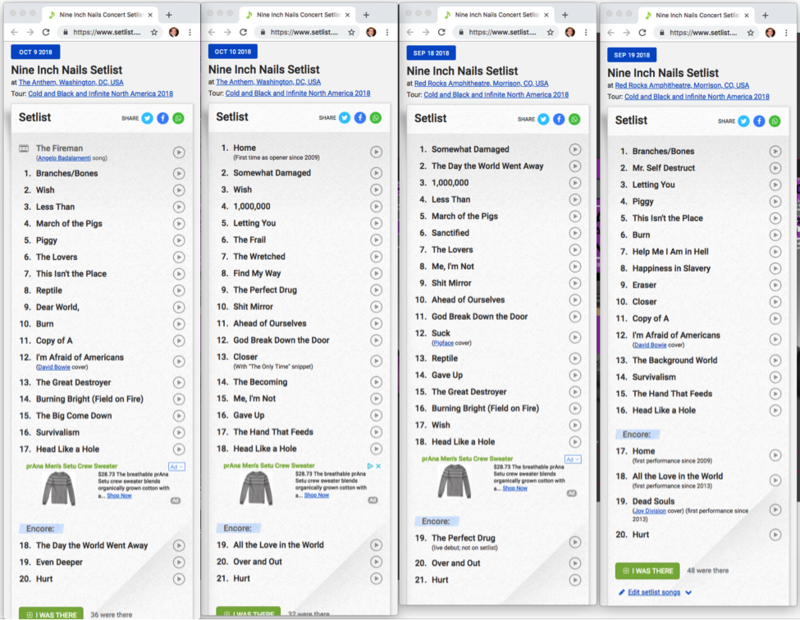 So people sent in their own set lists, made from whatever songs they wanted – and I believe Amanda kept the framework to 17 songs. In contrast, the DD40_2018 survey had people choose the songs they wanted to hear most off of each album, but the songs were not ranked in terms of importance. So for example, if you wanted to hear five songs off of the first album – you clicked on those five songs and then moved on to the next album. There was no way to indicate which song(s) you might want to hear most. We’ve done similar in the past – and in every case, no matter how we’ve worked the survey, the song that wins by a landslide, is New Religion. In their results, it landed at number five, behind a few songs that didn’t even make the final setlist in our case. Fascinating, right? I also wonder if knowing that these suggestions will be presented to management for touring consideration made a difference to respondents. In our case, the surveys have always been done for fun with no promise of the band paying any sort of attention. Does that make a difference in the way people answer? I don’t know, but it’s a possibility. The sampling of participants for surveys counts as well. As I’ve noted in the past, different people are drawn to different places on the web. Those that read here might not be on a message board, and those on Twitter might not be as active on Facebook, etc. I also think the sample size matters as well – the more respondents a survey has, and the closer that sampling is to the actual demographic ratio of the fans, better the chance that the results will accurately represent our community. It isn’t always easy to get people to respond to a survey. I’m not here to suggest that one method or one set of results outweighs another, that’s silly. My interest is only to note the differences in the results. I might even make a broader claim, as it turns out, that perhaps no one survey is going to really provide an accurate assessment of what the fan community at large wants. What that may or may not mean with management actually taking such suggestions seriously, I don’t know. Admittedly, Daily Duranie is not in such discussions with management or anyone else – we just write our blogs and do our surveys with the same basic goals in mind we always have: to provide a place for discussion and to make fandom just a little more fun. 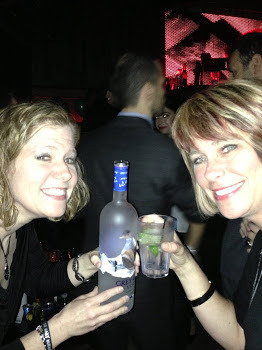 We had a guest with us today for Vodka Friday – our friend Heather!! We chatted about a lot of things, from tours and when we became fans to the UK tour that wasn’t…. and hopefully no one falls asleep! Happy Easter to those who observe, have a FANTASTIC time at the shows to those who are going….and a very hearty CHEERS to the rest of us poor saps stuck at home!!! This is part of a new series where we drink and talk about whatever the hell we want. No holds barred, delightfully uncensored opinions! Today we focused on set lists! Enjoy! Did you get a chance to watch (yes, I said “watch”!) the latest Katy Kafe that was posted yesterday? If you are anything like me, I struggled to view it. After asking on Facebook and Twitter, here is the information I received. Those who were able to watch it used older devices. For example, someone tried on her Mac and iPhone5 with no luck, but she was able to watch it on her iPod Touch4. Likewise, I tried on my Mac, a PC, and my iPhone6 with no luck. After reading about the iPod Touch4, I decided to try my iPad, which is about 5 years old. Guess what? It works. Now, I realize that everyone still might not access to an older device. I emailed customer service at the fan community website about the problem and they promised to get back in touch with me once their tech team looked into the problem. Hopefully, my highlights here will hold people over until everyone can watch it for themselves, which I highly recommend. I ALWAYS recommend getting a membership in order to hear/watch the Katy Kafes since our blog posts just offer some highlights and commentary. They are in no way a complete transcript. I was happy to hear that there was a new Kafe out since the Duran camp has been very quiet for the month of January. I found myself wondering what the band might be up to and thinking. I was hoping that this Kafe might offer some insight, especially since it is a video one! Well, this Kafe did not disappoint, even if the majority of it was not focused on Duran Duran, specifically. John talked about when he found out about David’s death and how he won’t ever forget it. He goes on to describe Bowie as a “creative parent”, which I found very logical. He did after all influence not only Duran Duran but so many and it does make sense then when John said that losing him was like “losing a family member.” John and Katy went on to discuss the extent of his creativity and the extent of his influence. David’s album, Blackstar, was discussed as well and John said that he was enjoying it and that it felt “fitting” in light of his passing. Two parts of the conversation really grabbed me. First, John discussed how David had been leading a very quiet life with his family the last few years and how that made John “happy”. According to John, he was able to focus on “what was really important to him” rather than things like going to big events and touring. Based on this, I wonder if that would be John’s choice on how to live his life if he found himself in a similar situation. The other part of the conversation that spoke to me was when Katy asked if John was reading articles about Bowie as a fan or as a peer, John said as a fan as “you never able to shake that off” but that also he knew him as a person. As John talked about Bowie’s death, I couldn’t help but to think that he understands how many of us would feel if something happened to one of them. He talked about how it was like a part of them had died because he mattered so much. It caused them to stop and think and reflect about their own lives while dealing with negative feelings of sadness and fear. John talked about how he has to process the loss of HIS David Bowie and when he gets with Nick, they will talk about the loss of THEIR David Bowie. This is exactly how it would be for Rhonda and myself if/when we lose someone connected to Duran Duran. When John articulates things like this, I really know that he GETS fandom. He really does. While the majority of the Kafe focused on David Bowie’s death, Katy did ask one big question about the upcoming tour. Will there be a tribute to David Bowie? John said that they would discuss it but haven’t yet. Katy then asked which was the favorite David Bowie cover song that they did. John began by listing all of the ones they did. Here’s the thing. The band played a LOT more Bowie songs that I think any of us knew. Obviously, many were not recorded. I would love, love, love for them to record all of the Bowie songs that they have done and release it for all of us to hear/have/treasure. Which one was his favorite, though? None as David Bowie was a hard act to follow. On a different note, John is looking forward to the upcoming tour since the audiences were so great in the fall! He is also anxious to “dive back” into Paper Gods. Spoiler alert John says that he does not see the setlist changing from what it was. I’m not super happy to hear that as I always want to see/hear new stuff. I, for one, am glad to have taken the time to really watch and listen to this Kafe. I feel like it has helped me process David Bowie’s death a little more, which I am grateful for. It is Sunday! It is time to recap the week! As always, please let me know if I missed anything! Lorde has curated the soundtrack for The Hunger Games: Mockingjay, Pt. 1. This soundtrack will feature none other than Duran’s very own Simon Le Bon. Simon has teamed up with Charli XCX to do a song called “Kingdom”. This soundtrack is due out on November 17th. For all the details, check out the press release and this blog post. You can also read an article on billboard.com. This month on dd.com, the collector’s corner focuses on Simon and all of his different projects outside of Duran Duran. If you are someone who is a big Simon fan or someone who wants to know the complete history of the band, I recommend checking it out here. Can you believe that it has been 9 years since Live from London was released? I was very lucky to be able to go see this live concert in the movie theater, which I wrote about here. Apparently, Unstaged is now available on DVD in Australia. Has anyone in Australia purchased it? I would love a review! Apparently, Roger did a little DJ gig at a charity event for the Duke of Edinburgh in London. This organization focuses on young people from 14 to 24 to help them gain the necessary skills for work and life. I would head to Duran’s Facebook page to see a picture of Roger at work! Have you checked out the Ask Katy questions on dd.com lately? See what was asked about songs from Seven and the Ragged Tiger being played live and the band’s response here. Did you see that the entire 22 track album is available for pre-order on iTunes? 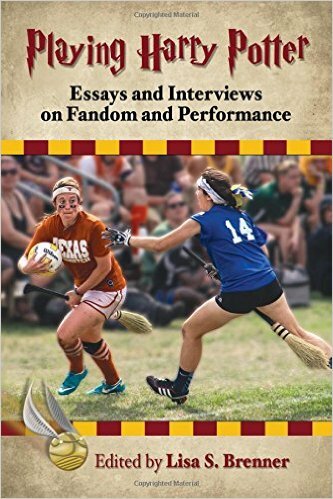 It is available October 28th! John was in the news this week for supporting the recovery and peer support program of the Henley Recovery Cafe as he visited and shared his experiences in recovery. Check out the band’s Facebook page to see a picture of Simon and Yasmin at Yasmin’s Surprise Birthday Party! We wish her a happy one!